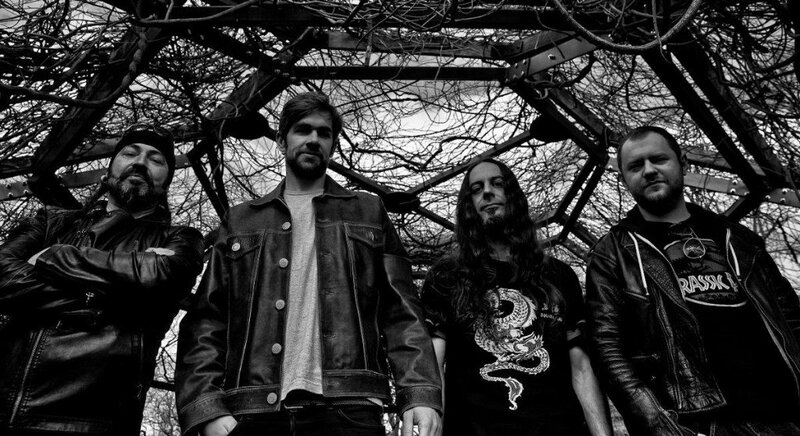 Moonshade – a Portuguese melodic death band – has been around for some time, however, with the release of their debut album “Sun Dethroned”, they have truly shown their quality. The album was released via Art Gates Records. The evolution since the release of their first EP “The Path of Redemption” back in 2010, has been notorious. Without losing their melodic-aggressive identity, the band has given us an album worth listening to. “Sun Dethroned” is an outstanding piece of musical dynamics, which features harsh vocal growls masterfully combined with clear ones, catchy melodic guitar riffs mixed with heavy rhythms. All of which is beautifully embraced by a dark background arranged by Nuno Barbosa (bassist and keyboardist) that will involve you in a deep atmosphere, making each track even more epic, just as the all lyrics do to. It starts as it ends: with outstanding long tracks that are absolutely representative of the band’s identity. But only by going through all the eight of them, it is possible to feel the “full story” within the album – both musical and lyrical. The altogether of this record, will certainly please most of the fans of the genre. It will also create high expectations for what the band might do next. Nevertheless, it feels like they still need a few more “captivating” moments for it to be considered a truly memorable album. That way, they might finally get the chance to dive deeper into the most mainstream metal world. So, even though they are not yet, it’s still a great piece. However, considering the band’s evolution and determination so far, in the future an album by Moonshade might achieve the impossible and reunite all the conditions to score a perfect ten.